This image of Porky’s Bayside, a beach bar in Marathon, Florida in the Florida Keys, was taken by Chris Jones. 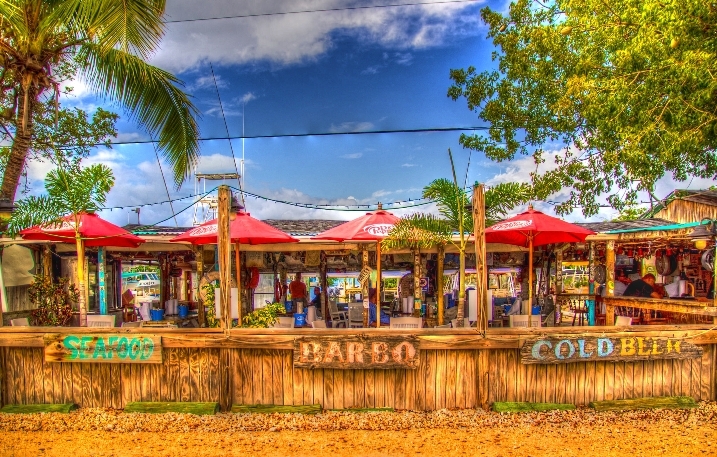 As we get closer to our Keys road trip to Key West, it’s images like this one that make me want to add yet another beach bar to my itinerary. Chris’s image accomplishes what it’s supposed to – it invites you into the beach bar and makes you want to stop by and see if they have any overpriced t-shirts for sale. They do? I’ll take six of them! You can view the rest of Chris’s photography here. HDR processing by yours truly using Photomatix.